← Montreal indie shoegaze band The City Gates’ experiment with sound. Working from home is slowly becoming the norm. That space needs to be welcoming, am I right? 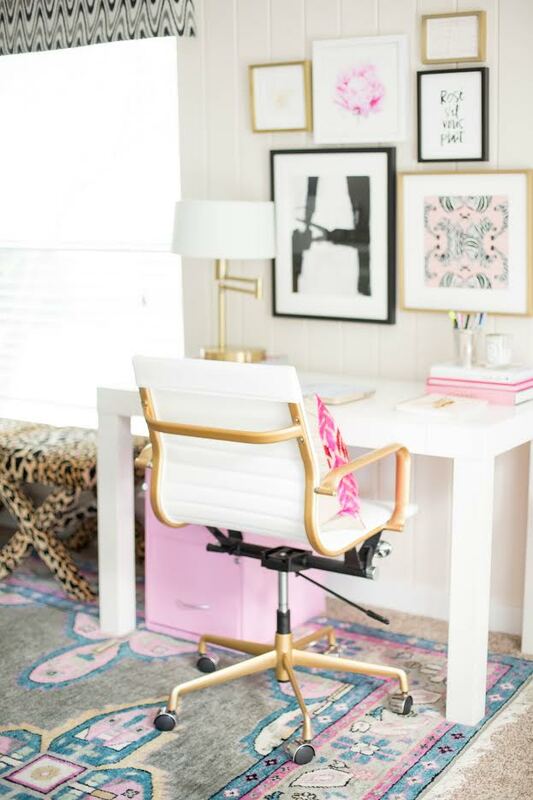 I get overwhelmed by all the possible design ideas I see on-line so I asked my favorite designer Emeline for some specific and personalized ideas on how to make my home office both fun and functional. I’m thinking beach scenes in frames, cozy carpets for my toes, and attractive storage. 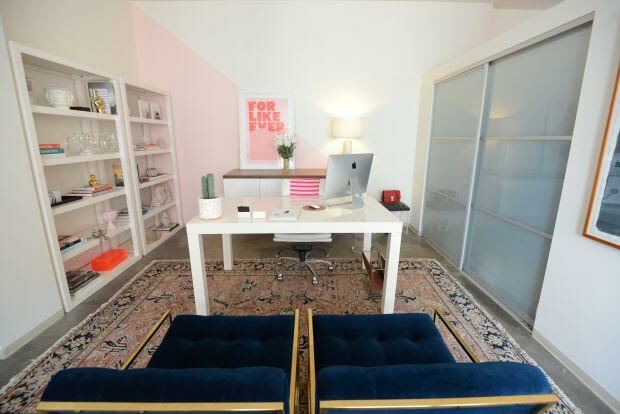 Here are her ideas that I am pretty sure will inspire your own office makeover! A home office is so exciting! Especially when you get to work in your pajamas! So, for this project, as with all others, it’s function first. What do you need in a home office? A good work surface, excellent lighting (so you can pull those all nighters when you’ve spent the day at yoga and lunch! ), storage, a work chair and occasional seating for your important meetings! Inspiration for shelves, art, and textures. 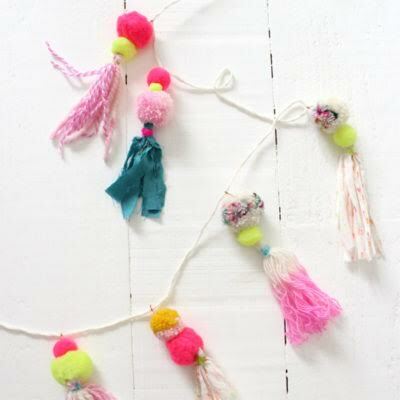 The decor aspects will be the ones that give you the fun and cozy feeling! 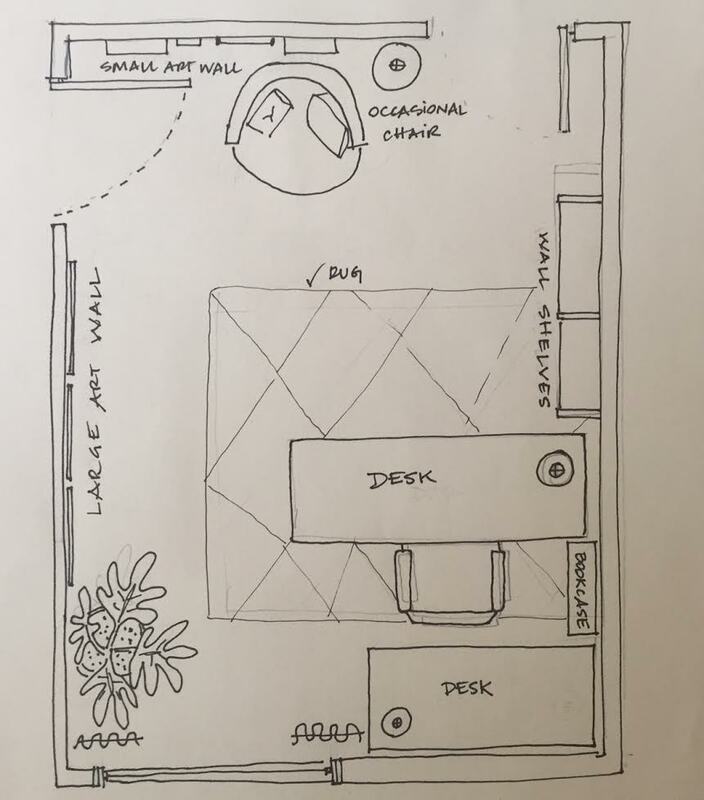 The floor plan by Emeline. I think for you it’s pink, turquoise and gold, all on a warm white background. We can choose to do this a few different ways, without trying to overload the space. So we’ll either pick a focal wall to attribute color to, or a large piece that will give the impact we’re looking for. That could be a rug, occasional seating, cushions or curtains. Usually we work in threes: adding color to a wall and then making sure that color is repeated at least twice in other elements. Same thing goes for the supporting colors too. Making sure they are well dispersed in the room helps too! 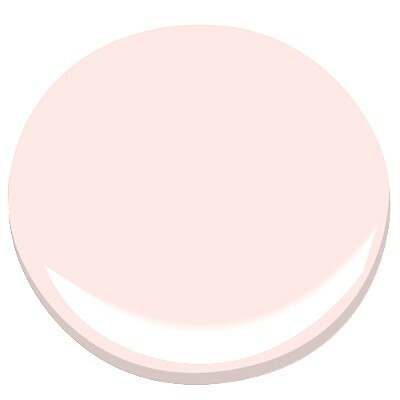 If we’re painting a focal wall, then I think Touch Of Pink by Benjamin Moore is a great light warm pink. But if you’re leaning towards the turquoise…. Antiguan Sky is your man! My favorite!! Pattern gives you the opportunity to reunite your color palette in one surface it helps a lot with cohesion. Usually, a well-balanced composition will have a variety of patterns: geometric, florals, stripes and dots all working together. Mixing and matching can be tricky, so usually textile designers create multiple prints to work together or smaller boutiques are conscious of this when purchasing, so don’t be shy to ask for help! 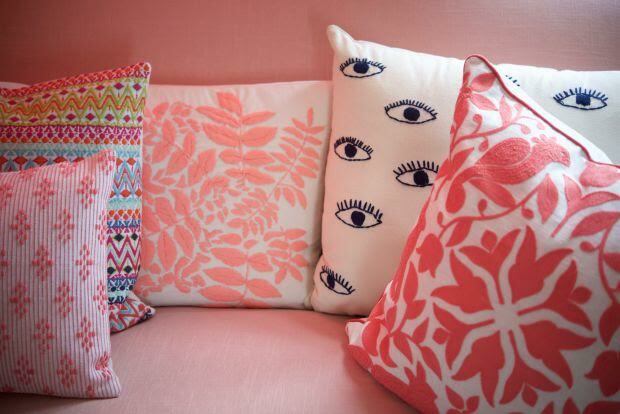 Also try to vary the size and shape of the pillows to create even more interest! If you want to explore the world of wallpaper, look no further than the Hygge West Wallpapers that host the Rifle Paper collection. 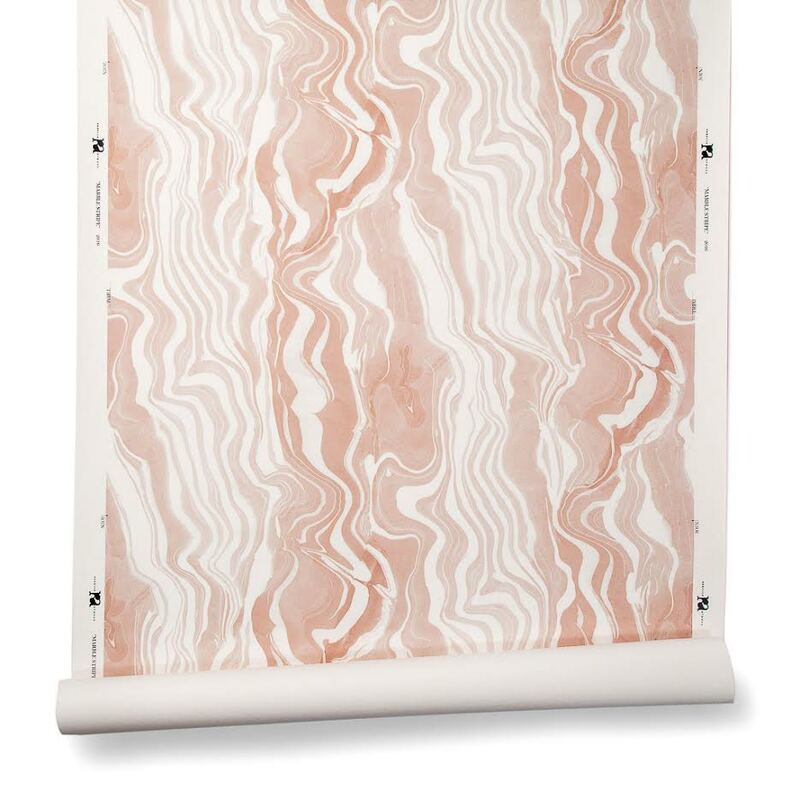 If you’re looking for a more subdued print, opt for the marbled stripe wallpaper by Rebecca Atwood. Wallpaper can be tough to apply, so I recommend getting a pro to do it. Expect to pay about 60$/roll for this service. Aaaaah, textures! Offices can sometimes have a collection of hard and cold surfaces (like how cold are printers!!) so, to get your cozy and fun look, we might need to go overboard on the textures. 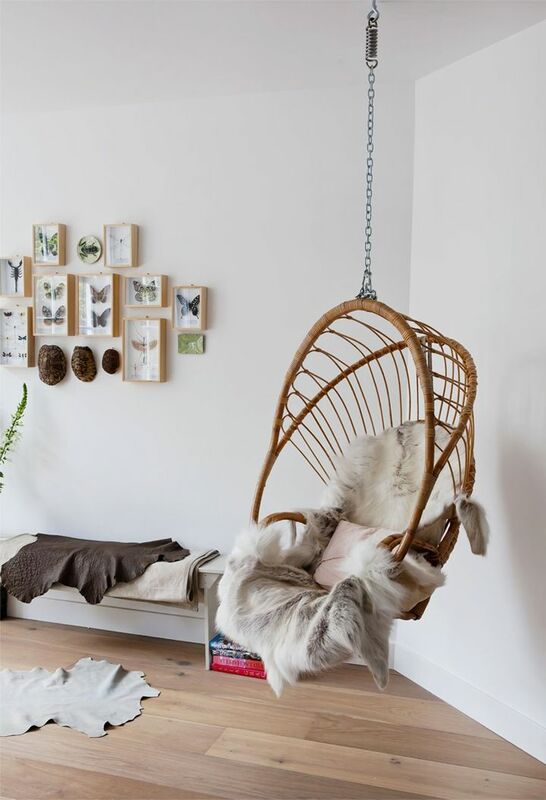 Sheepskins, rattan plant holders, macrame wall hangings, longer rugs and layered curtains will help cut the coldness of desks and chairs. 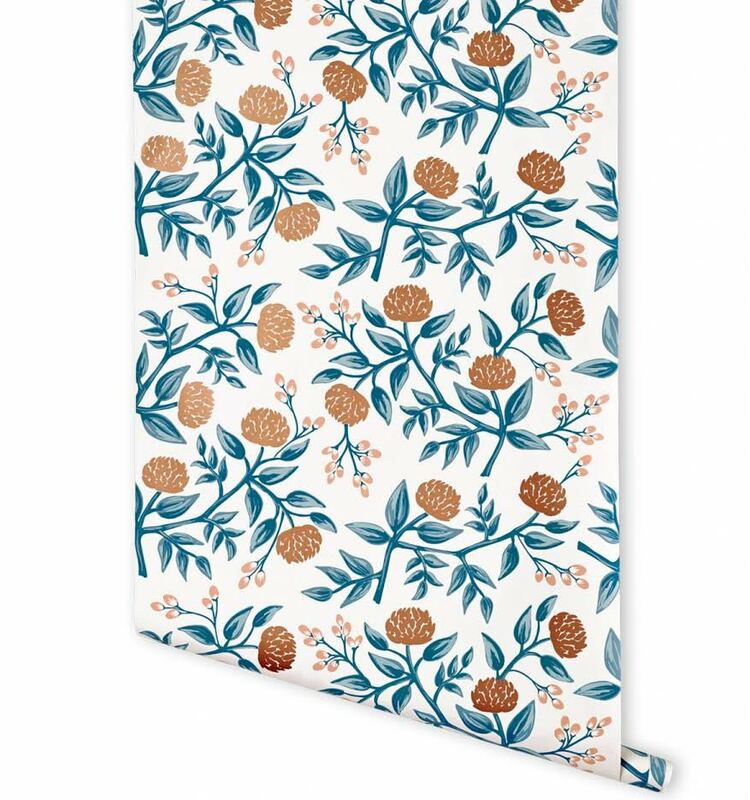 Window treatments are a great opportunity to add texture, play with pattern and add color. So I think you should focus on that as a main element, then add a killer rug and a few throw. Costco (gasp!) offers an inexpensive sheepskin. ROPE! 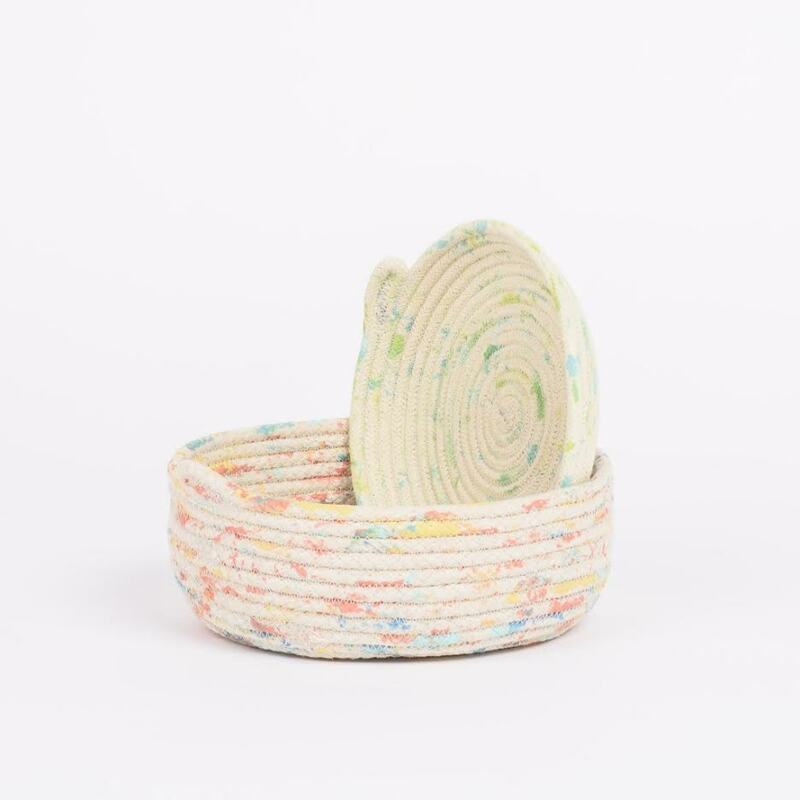 Is a big trend right now, so you could add a few rope baskets from Gemma Patford. Dyeing and anything that is fabric printing is also really big right now, and adding a hand dyed element to any room will give you loads of texture. 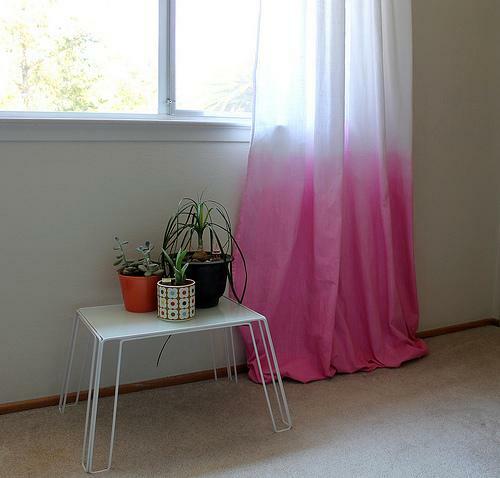 Think of getting simple Ikea linen curtains and dipping them in a hot pink bath! Voila! 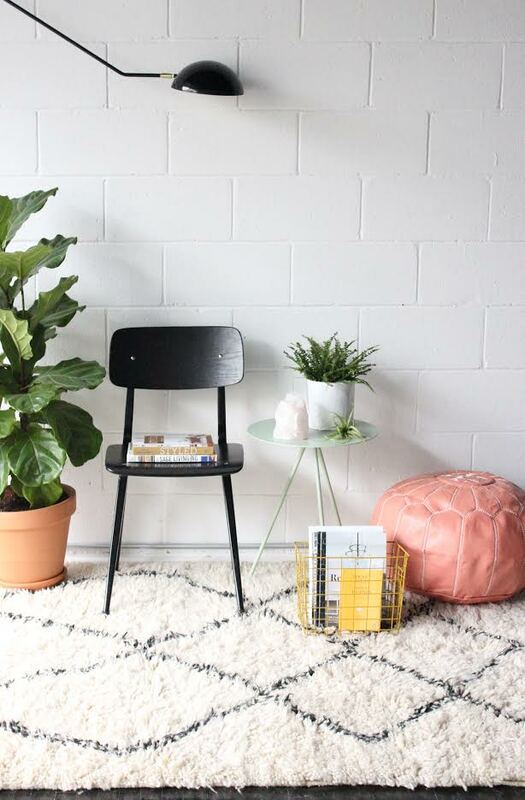 The good news is that rattan and wicker are both inexpensive to find at a garage sales and easy to spray with a new color! This can be tricky in an office. I love using vertical space for storage and to free up the floor space. 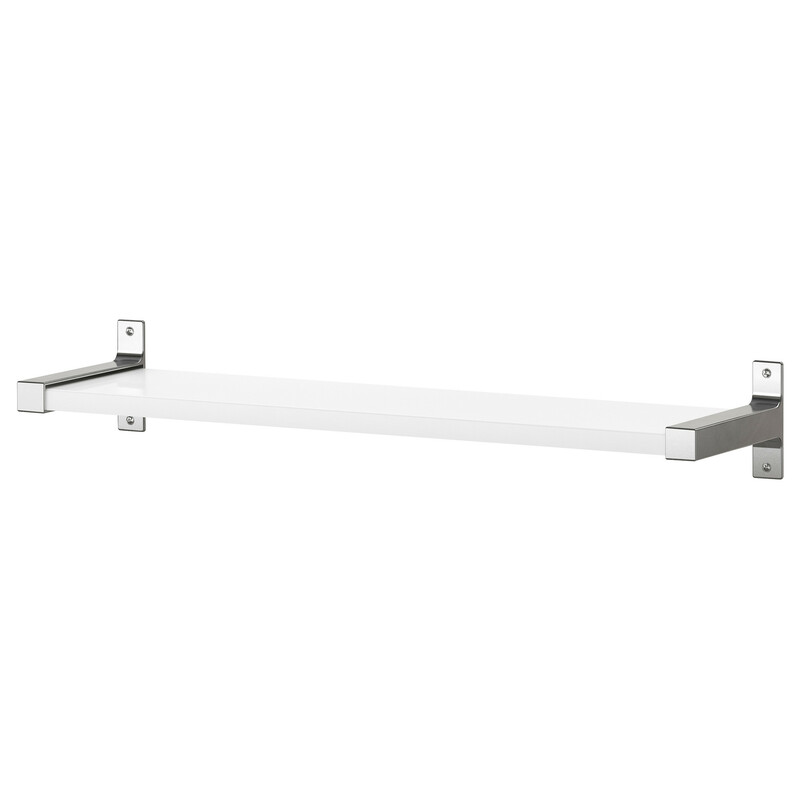 Adding Ikea shelves that run along either side of a window, or along the top of your desk wall gives you both storage and an opportunity to do some shelf styling and use the hashtag #shelvie! Read BabaSouk’s shelf styling tips over here… and psssst- that wall unit was designed and built by me! 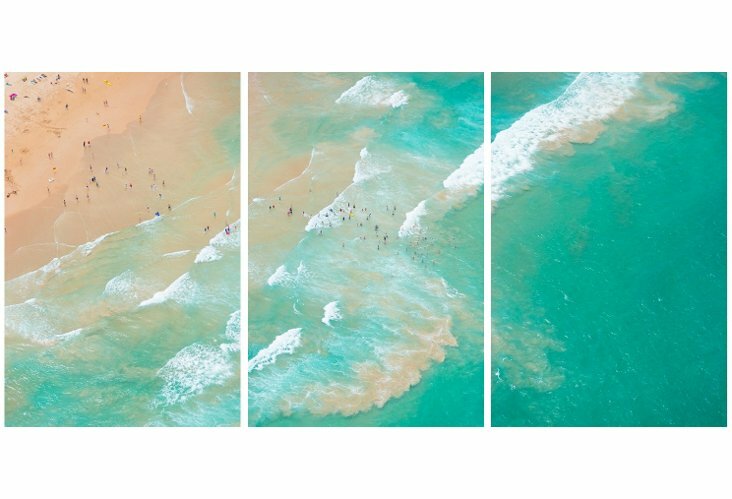 Gray Malin…I know, I want $4000 to support him too. But I can’t. And I love the coastal beach look. So WHAT is a girl to do? Head to your local library. Check out the geography section and look for great huge books, like on waves and oceans. Maybe a National Geographics book with beautiful large photos. Check that book out (if you don’t already have a library card- get one! It’s an amazing resource for your creative self and an afternoon spent at the library is a great artist’s date!) and bring it to a large-scale printer. Repro Desmarrais on Decarie is one, so is Rubix on McKay. Have them blow up those images in color. Pop them into a few cost-sensitive Ikea frames and voila. For about $100, you can make your own triptych, which might even have a little more meaning to you! 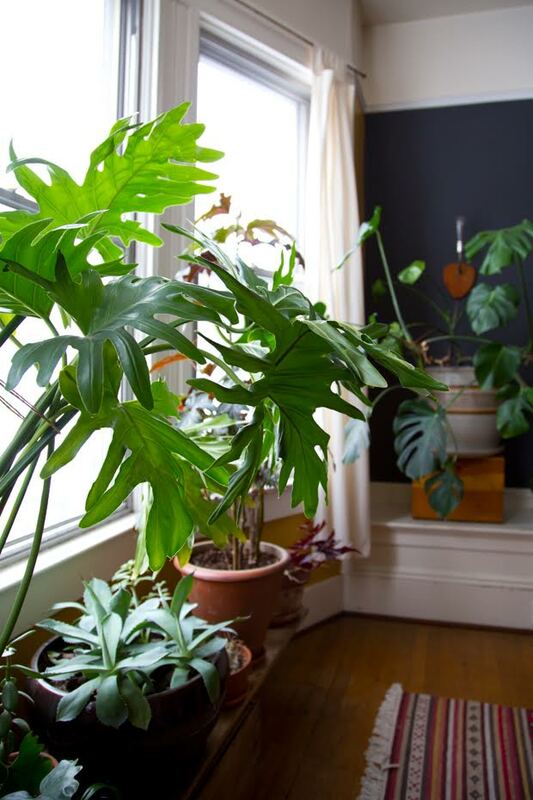 Head on out to Planterra, but don’t go before you read the Jungalow’s amazing Plant-o-pedia for some botanical geeking out. I love me a good tropical tree, in a rattan pot holder! Always key! In an office, you’ll want at least a desk lamp (if not two!) and a floor lamp as well as overhead lighting and some decorative/ambient lighting as well. Remembering that lighting functions as layers and can be used just as effectively as color and pattern to create a mood or set the fun tone on high. Think sparkly lights in that tropical tree! I like at least 100w on the floor lamp, and 60w on the desk lamps. Check out the new Varv lamp from Ikea for some smart phone charging too! For desk lamps, I’m always really taken aback at how expensive really good lighting is. So whenever possible, I try to re-use lamps that are broken and try to fix them up, almost always adding a touch of gold spray paint! There are also a million and one tutorials online on how to re-cover existing lampshades with fabric or wallpaper. So don’t be afraid to get your glue gun out, although I highly recommend reading through all the instructions before getting started! 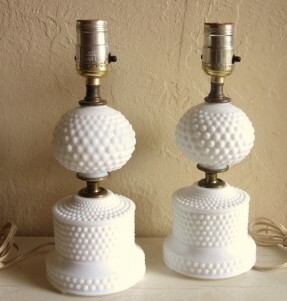 Vintage Hobnail: DO NOT SPRAY!! These are perfect as is! 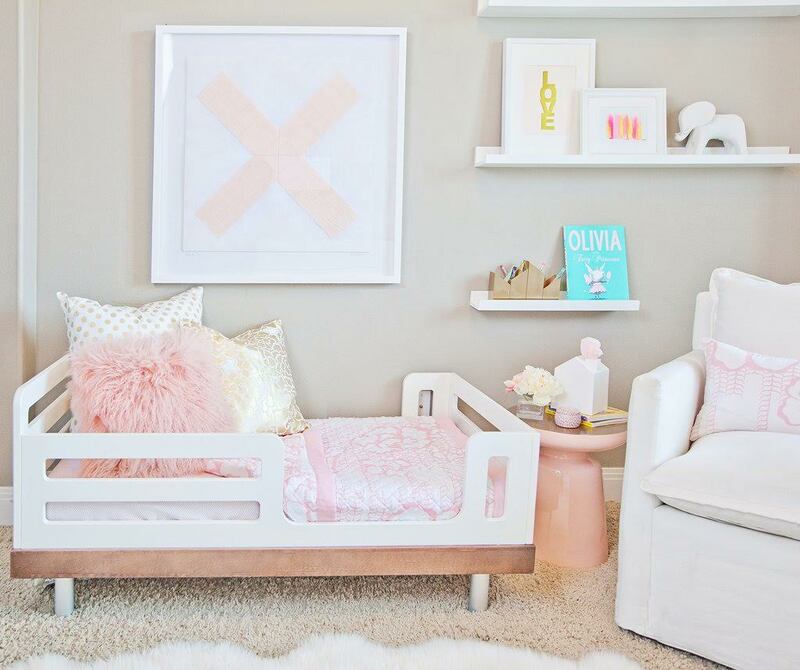 Garlands, wall hangings, art wall, mirrors… the sky is the limit. Remember your overall vision so that you don’t get too wrapped up in the little things! Let the big pieces speak and give lots of negative space around art walls so that your space doesn’t end up feeling too cluttered! So there you have it, in a nutshell, some actionable ways that you can create a fun and cozy workspace that will make you feel excited to tackle your to-do list! BTW…Emeline sells her art on-line here and it’s going fast. Ahhhhhhhhhhhh I really was looking forward to this post given the number of conversations we have had on the topic of home office! Thanks for these great and tempting tips…I have ideas, ideas, ideas!! !